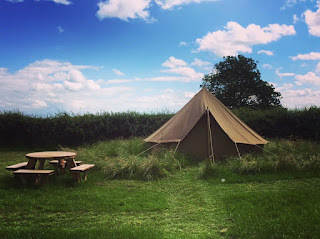 All of our bell tents are handcrafted in the UK from some of the finest canvas available and they sleep up to four, making it the perfect weekend escape with or without the children. Wake up in comfort to stunning views across the Warwickshire countryside and then explore this beautiful location and all it has to offer. 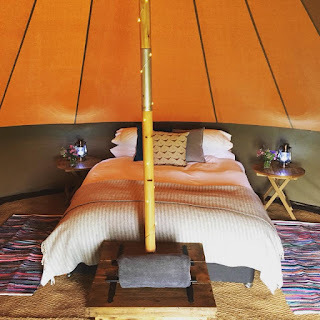 Our tents allow you to have all the fun of camping, whilst still enjoying some of life's luxuries. Treat yourself to a relaxing glamping adventure with one of our shepherds hut holidays. We have some of the most beautiful shepherd’s huts to rent and they are well equipped to ensure an enjoyable break away. They include a double bed, double sofa bed, deck chairs, electric, lighting and tea/coffee making facilities. Our huts are perfect for couples or a family of 4. Hilltop Hideaways is 3 miles out of Leamington Spa. We are just a 10 minute drive from Warwick, 25 minutes from Stratford-upon- Avon and 30 minutes from the beautiful Cotswolds. There is so much to see and do in the area and it is one of the most visited in the whole of the UK. From Shakespeare’s Stratford to Warwick Castle or the honeyed beauty of the Cotswolds, you won’t be short of adventure.